Father Roch was born in 1871 in Alsace, France. After completing his preparatory studies in his homeland, he came to Victoria, Texas in 1894 to complete his seminary training. 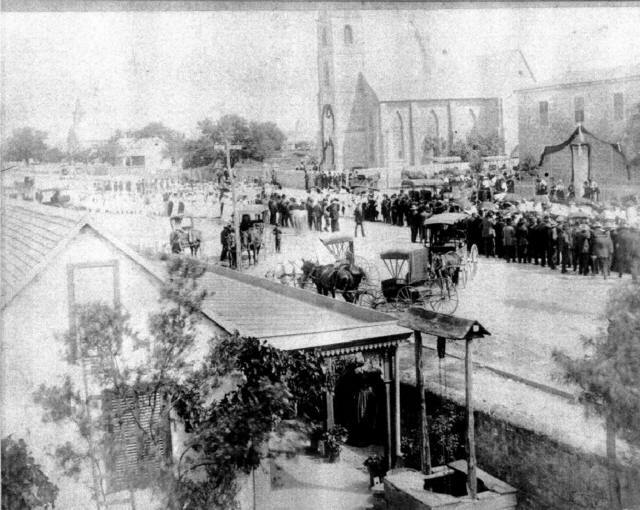 He was ordained a priest on November 20, 1897 and celebrated his first Mass in Fredericksburg on December 1, 1897. He was assigned as an assistant pastor to the aged Father Tarrillion. In 1899 Father Tarrillion resigned and Father Roch became pastor. The parishioners were overjoyed because they had learned to appreciate his zeal. His first act was to establish St. Joseph's society and to build the Halle as it's own home. It was built for $7,000 by the members on property purchased from Amandus Stehling. The Halle was completed and dedicated in 1900. During the past 109 years it has been the meeting place of parish societies, parish meetings, social gatherings, school and community functions. 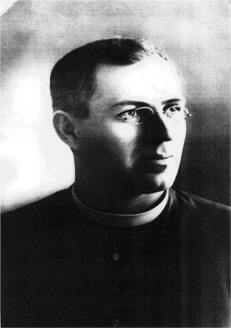 Father Roch also started the planning of a new church. The original small group of Catholics had great expanded and the Church of 1865 no longer provided enough room. During a parish meeting in St. Joseph's Halle in 1901 at which the parishioners committed themselves to a new church. They subscribed $25,000 to the project. An architect was hired and developed the plans which were approved. 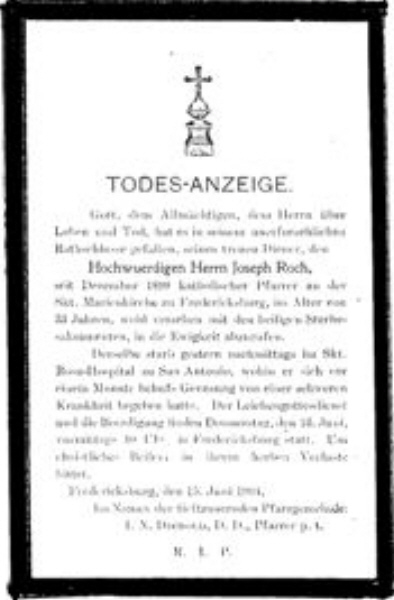 In the midst of the planning, Father Roch fell ill with typhus and passed away on June 14,1904. The parishioners were stunned at their loss. His body lay in state in the Halle and he was buried on June 16, 1904 in St. Mary's Cemetery.